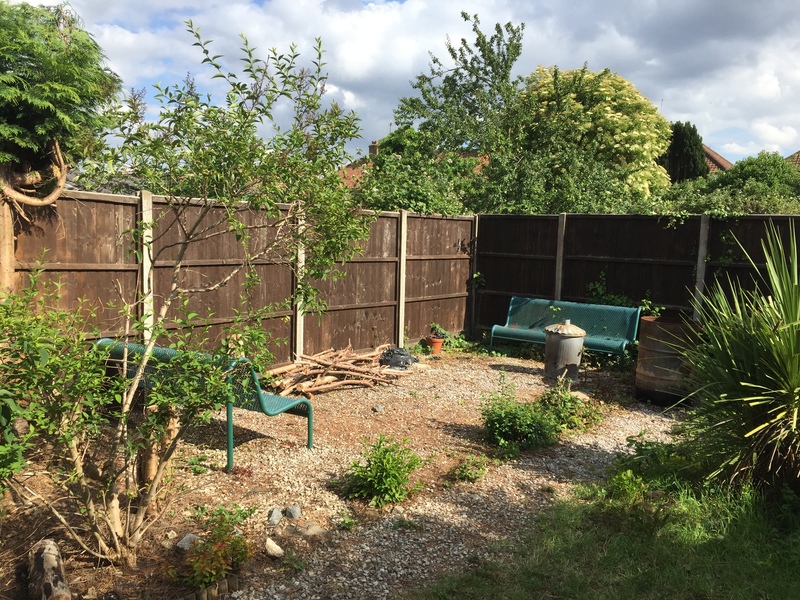 Our client asked us to design a landscape that would transform an overgrown, neglected back yard into a welcoming, intimate garden where she could entertain her family and friends as well as quietly enjoy flower gardening. 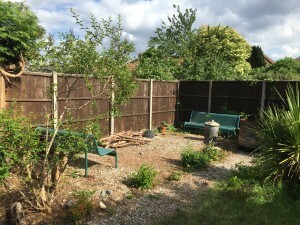 In order to make the most of the space, Construction Bear landscaping specialists removed six trees with extensive root structures and the foundations of an old garage that took up nearly 20m2. This was the most technically challenging part of the garden renovation, as we had restricted access to the site, which meant we couldn’t use heavy machinery. Nevertheless, we were still able to keep to budget and timings. 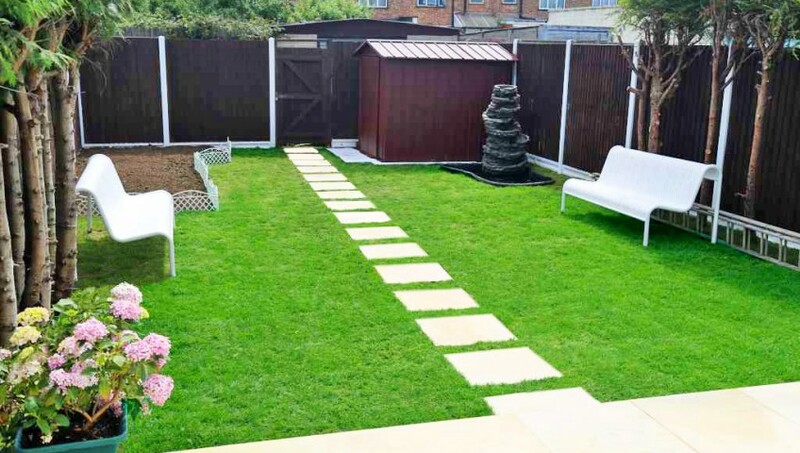 In keeping with our professional approach to landscape design, we carefully prepared the site to ensure that the garden would grow healthily into the future. We levelled the ground surface by evenly spreading 13m3 of topsoil, laid weed control fabric over the whole area and installed new drainage. To create a modern style garden that is both inviting and serene, our expert patio pavers built a 35m2 natural sandstone patio with contemporary spot lighting, while our landscaping and gardening specialists installed a 1,000L fully-illuminated garden pond featuring a fountain and waterfall, and established a large flower bed in the sunniest part of the garden. Our client was so impressed with our work, that she has already recommended Construction Bear to friends and family as a one of the best and most reliable landscaping companies.